CINCH is a movement. It's more than a belt company... it's a way of thinking. 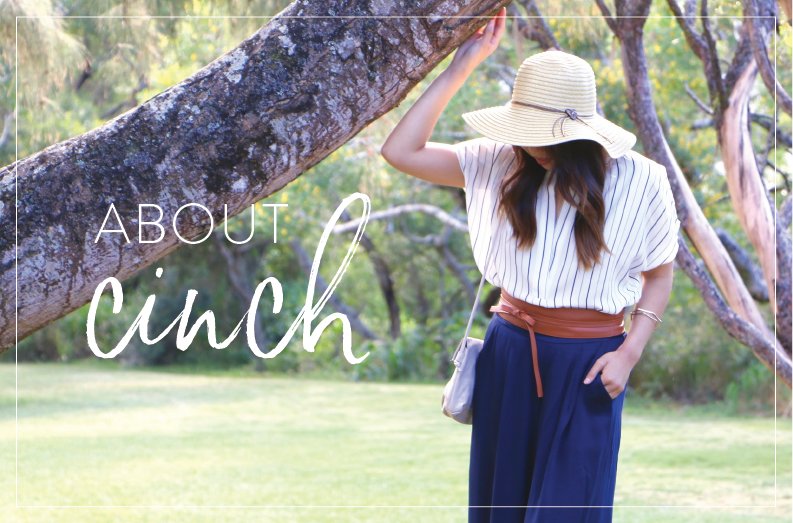 CINCH was created to do one thing - empower women to feel confident. Because we all know that when we feel confident, we hold our heads higher, we think bigger and we truly impact communities. share their "CINCH Moment" to fuel and exude confidence in the next generation of leaders. a story, and a movement. CLICK BELOW TO WATCH THE CINCH STORY UNFOLD! Want to step up your cinched look? Try "The Rose" for a flirty, feminine ensemble. Or opt for "The Skinny Wrap" for a sleek and modern look.